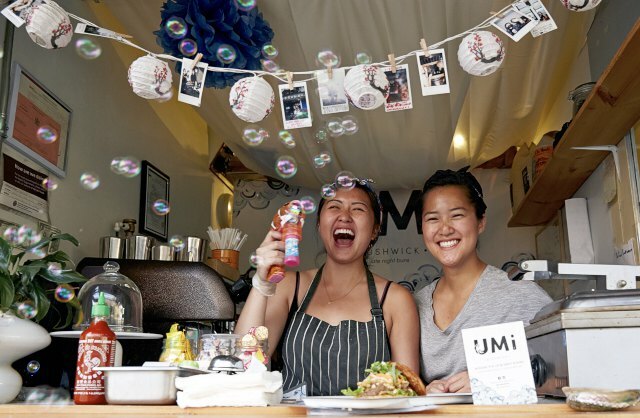 After starting the popular pop-up "Burger Babes" in Shanghai, China, Phoebe Tran and Rénel Sun moved to Bushwick for the summer to open UMi Bushwick. With taste, texture and food design in mind, UMi Bushwick is a pop-up located at Sweet & Shiny location at 214 Knickerbocker Ave that crafts the perfect late-night food -- "bunwiches." 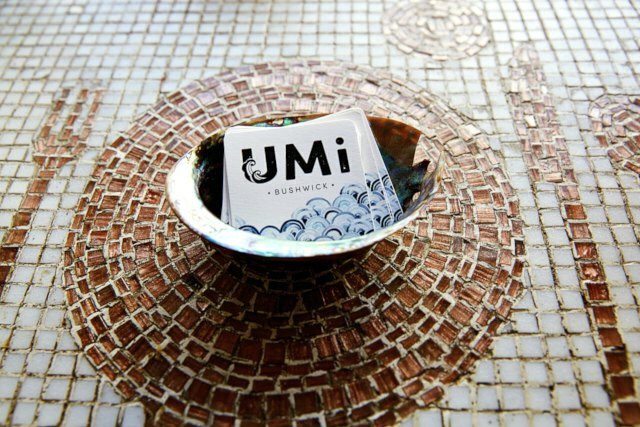 Meaning "ocean" in Japanese, UMi is meant to represent travels and inspirations the two friends have experienced together while overseas. Phoebe and Rénel, both students at New York University, have shared interests in food media and design. They met while traveling abroad in Shanghai and immediately hit it off. They put their education on hold in February 2014 to follow their culinary dreams and soon, Burger Babes was born. This pop-up allowed the two women to gain traction for their popular burgers inspired by Shake Shack and In-N-Out Burger. "Trick it out" by adding bacon jam and potato chips, and late night bar and club-goers in Shanghai had entered burger heaven. 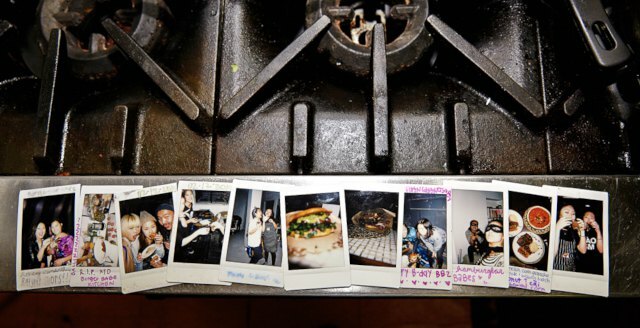 Polaroid photographs from the two friends' adventures with Burger Babes. While working on their Burger Babes project and living in Shanghai for about 15 months, Phoebe and Rénel traveled together to other nearby countries like Thailand and Japan. Elaine Li, owner of Sweet & Shiny, offered the two friends the opportunity to live in Bushwick for the summer while using Sweet & Shiny to run a late night pop-up. They bought their plane tickets back to New York City and started UMi Bushwick, a culinary extension of Phoebe and Rénel's friendship, which began the second weekend of May 2015 and will conclude the last weekend of August. Each "bunwich" at UMi Bushwick is an interpretation of their shared experiences around the world and approached from a designer perspective. Rénel previously worked at Sweet & Shiny and has experience in custom cake design. 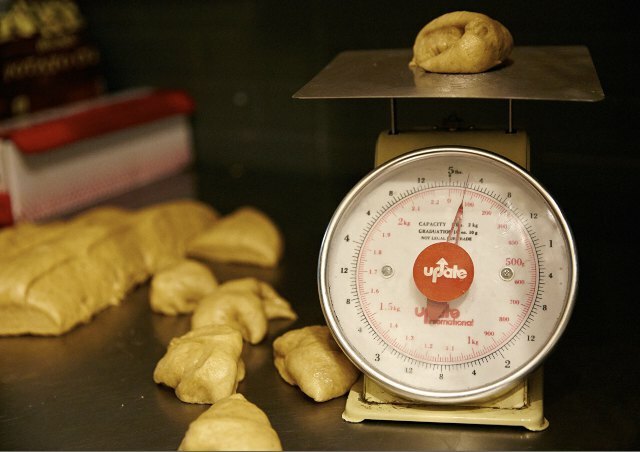 She is the one behind UMi Bushwick's delicious brioche buns. Inspired from Burger Babes' "tricked out" burger, kettle cooked potato chips are added to the top of every bun at UMi Bushwick to add a salty crunch. Kettle cooked potato chips are added to the top of every brioche bun at UMi Bushwick to add a salty crunch. 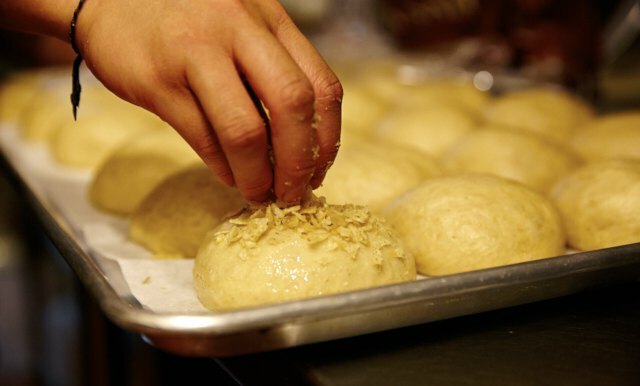 Both Phoebe and Rénel support the healthy, local food movement so each bun is made from scratch with quality ingredients. For instance, organic and locally grown Farmer Ground Flour is used to craft the buns along with grass-fed butter and free range eggs. Rénel explains, "We just love texture and having a crunch in every bite!" Seriously though, these buns are taking whole wheat bread to an entirely new level. These buns take whole wheat bread to a new level! 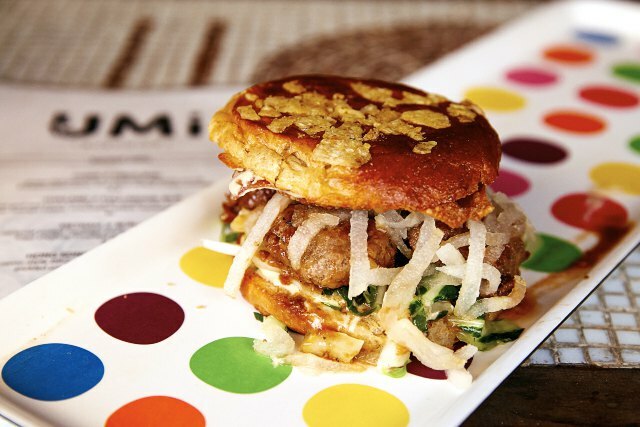 Each month UMi Bushwick's menu rotates to include a new bunwich inspired by travels, taste and texture. There are always four bunwiches available on the menu. While prepping bunwiches and toasting the brioche buns at the Sweet & Shiny window, the two friends enjoy chatting with customers. "The China bunwich especially allows us to tell people about our adventures in Shanghai and our past pop-up, Burger Babes. It also gives us the opportunity to tell the story about how UMi Bushwick was started," said Phoebe. Phoebe and Rénel are some of the nicest people out there -- we could talk to them for hours about prepping burgers in Shanghai to biking over 260 kilometers through Japan! 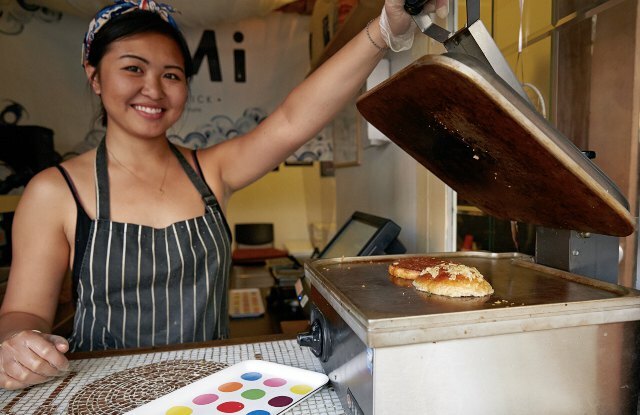 While toasting UMi Bushwick's potato chip encrusted brioche buns, Phoebe and Rénel enjoy chatting with customers. The China "Mala-Bun" ($9.5) includes grass-fed Szechuan meatballs, sesame sauce, pickled Asian pear, bok choy salad and a crispy wonton. In August, the China bunwich will be replaced with a new addition, the Korean bunwich. This new menu item will feature beer-battered Korean fried chicken, gochujang-mirin glaze, scallion salad, black sesame sauce and kimchi chutney. We are so in! The China bunwich includes grass-fed Szechuan meatballs and even a crispy wonton. If you're looking for a flavor explosion, the Thailand "Full-Moon-Bun" ($10) includes a wild red curry shrimp-skate fish cake, sweet chili tamarind sauce, green mango salad and cucumber relish. The heritage pork cracklings add an extra crunch to the bunwich. The Vietnam"Bun-Mi" ($9) is the stand-out bunwich on the menu that is inspired by Phoebe's Vietnamese mother who makes a delicious pulled pork. The "Bun-Mi" includes her recipe for caramel pulled heritage pork along with Vietnamese pickles, fried shallots, crushed peanuts and fresh herbs. Imagine transforming a banh mi sandwich into a slider, then amping it up with rich flavors and crunchy potato chips. Hello, perfect drunk food! The Vietnam "Bun-Mi" is not to be missed -- especially after a night of drinking. We're about to let you in on a little tip, dear readers! There's also a secret menu including a savory and sweet option. 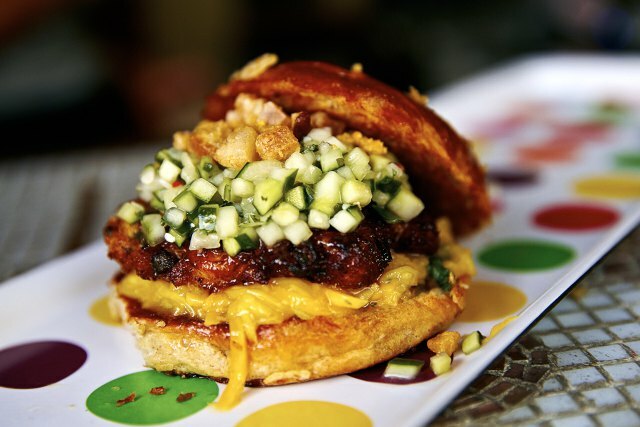 Simply ask for the savory secret bunwich and UMi Bushwick will present you with a creative bunwich combination. The secret sweet bunwich is perfect if you have a late night sweet tooth, and features spicy coconut cream caramel, local berry jam and mochi ice-cream. UMi Bushwick is open from 9pm to 4am, Thursday through Saturday at Sweet & Shiny, 214 Knickerbocker Avenue, Brooklyn, NY. Phoebe and Rénel head back to Shanghai on September 1, 2015, so hurry in to try one of bunwiches at UMi Bushwick before it's too late! 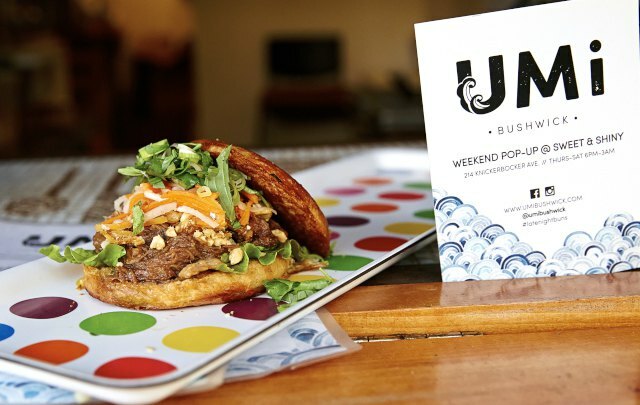 UMi Bushwick will be serving every past and current bunwich during the last weekend of August.